Oatmeal Boiled Cookies are a family recipe like Lemon Icebox Pie that I shared last week. I have always liked Oatmeal Boiled Cookies more than chocolate chip cookies, which is saying a lot cause I love chocolate chip cookies. Mom rarely made Oatmeal Boiled Cookies, so I always thought it was a big treat when she did. 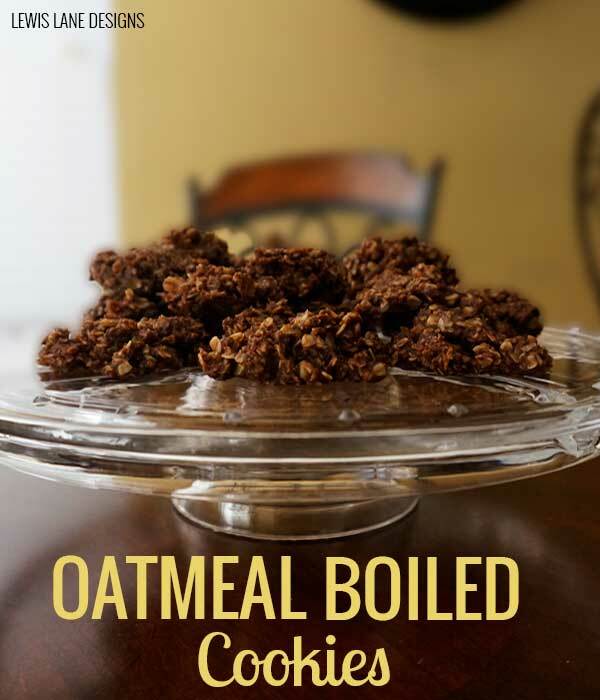 For some reason I have always thought Oatmeal Boiled Cookies were hard to make, and was not sure I would be able to get them to come out right on my own. Finally decided I would attempt to make my first batch by myself. You will want to put newspaper underneath the wax paper to keep from making a mess. Now Oatmeal Boiled Cookies can be temperamental. If it is too humid sometimes they might not setup right. Considering this was my first attempt at making Oatmeal Boiled Cookies think it was a success. My first batch actually came out, and tasted good. Not exactly like moms, but getting close. I was just so excited my first batch actually turned out, and I didn’t mess them up. Will definitely be making Oatmeal Boiled Cookies again in the future. Now that I have made my first batch of Oatmeal Boiled Cookies not sure why I didn’t try to make them sooner. 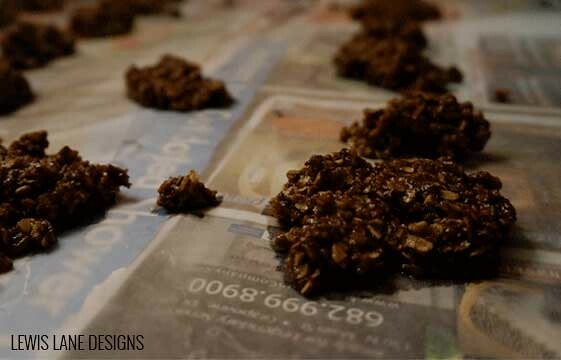 Making Oatmeal Boiled Cookies was actually easier than I was thinking it would be. Now not as easy as making a batch of Chocolate Chip Cookies or Lazy Cake Cookies, but not overly complicated. If I can make them then anyone can. Only bad part about making a batch of cookies is usually I can’t eat just one. Really tests your will power lol. What are your favorite cookies? Or do you have a family recipe you have always wanted to learn? I have the same problem – trying to eat only one… very difficult. I’ve never heard of these but will try them the next time I have a crowd to feed. Thanks for mentioning about the humidity. I once tried to make toffee on a humid day – wasn’t good!